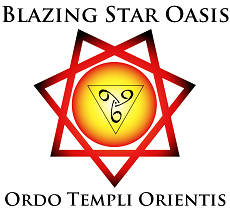 (01/17/1945) Grady McMurtry to Aleister Crowley – OTO degree Libri received, Liber Aleph coming. Relocated to France. Brief mention of Frieda Harris, Kenneth Grant, Karl Germer and Jack Parsons. (02/03/1945) Grady McMurtry to Aleister Crowley – Money sent to Crowley. Jack Parson’s plans for Agape Lodge depend on Regina but not on W.T.Smith. Grady bluffs his way into the home of a Chef d’Orchestre of a Symphony in Paris, to promote La Gauloise. (02/12/1945) Grady McMurtry to Aleister Crowley – Acknowledges Crowley’s move, following bombing. Hopes Grant can join A.C. at new location. Jack Parsons wants the letters of Magick without Tears. Grady recommends Steig’s caricatures. (03/06/1945) Grady McMurtry to Aleister Crowley – Confused about remarks concerning W.T.Smith and Jack Parsons. Incidentals: stamps and health. Loss of Regina. Attached poem. (04/02/1945) Grady McMurtry to Aleister Crowley – Problems with Jack Parsons and W.T.Smith. Calculation of Grady’s contributions of funds. Regards to Grant. (04/26/1945) Grady McMurtry to Aleister Crowley – Relocated to service in Germany. No response from Kenneth Grant. Other topics of brief mention. (05/15/1945) Grady McMurtry to Aleister Crowley – Celebration and high-jinks on the occasion of V-E Day. (05/28/1945) Grady McMurtry to Aleister Crowley – Grant mentioned. European duty after V-E Day and Pilzen. Grady’s economic theories of Social and Political affairs for the New Aeon. (07/01/1945) Grady McMurtry to Aleister Crowley – Book loan. Problems with Frieda Harris. Incidentals. (07/09/1945) Aleister Crowley to Grady McMurtry – Difficulty keeping track of typescripts and a suspected theft. (07/19/1945) Aleister Crowley to Grady McMurtry – “Yogi & the Commissar” and Lady Frieda Harris. (07/20/1945) Grady McMurtry to Aleister Crowley – More on book loans. Changes in European deployment. Incidentals. 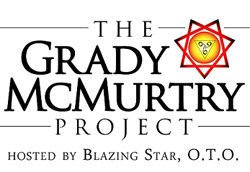 (10/01/1945) Aleister Crowley to Grady McMurtry – Grady being shipped off, Latin, Chess, and health issues.